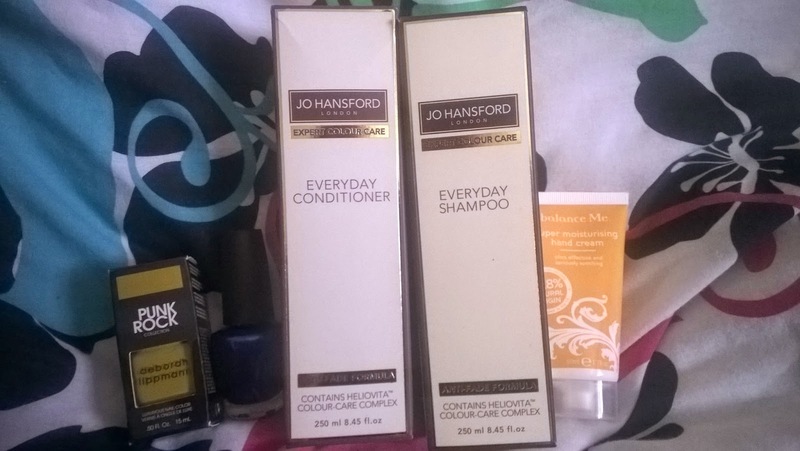 In the week I got a parcel from The Hut filled with lots of beauty treats for me to test out. I'm not much of a make up girl but I do love my beauty products. When the kids are in bed I love to relax by putting a face mask on and painting my nails. I love OPIs collaborations and this time it was with the Muppet's. The collection has eight shades and I received the miss Piggy's big number. 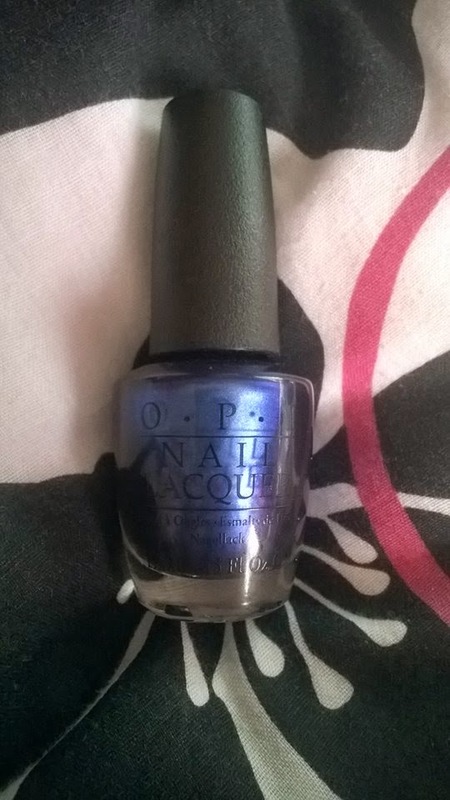 I'm quite a fan of blues and this shade is a very glossy sapphire blue which looks amazing on. Defiantly a great striking bold colour. The shampoo smells amazing I love fruity smelling shampoos, this was very orangy citrus smell. They seem to give my hair that super fresh feeling which I love. 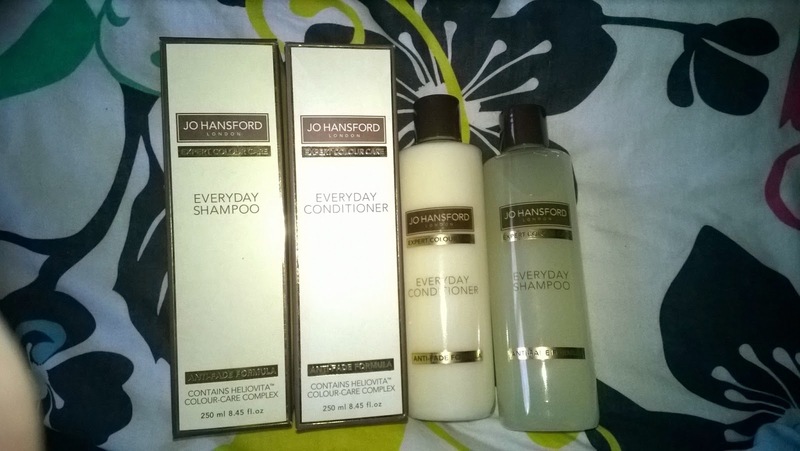 I had never heard of Jo Hansford before so this was nice to try out a new shampoo and very posh shampoo. The range is Completely paraben and sulphate free which is always a good bonus those harsh chemicals can strip your hair of the colour. The shampoo has the additional sweet blue lupin peptides which help keep your hair colour from fading and keep it sleek and super soft. With Keratin Amino Acids, the shampoo helps to maintain an optimum moisture balance. I really saw a difference using the shampoo in my hair it was more glossy and bouncy. Maybe my Aldi 79p shampoo isn't that fab anymore? The conditioner did disappoint me it did have the fruity scent but it was very sutale. The conditioner is super thick, it reminds me of the kids slime they play with. I just really didn't like the texture on my hair, due to the thickness of it washing it out took a bit of time. My hair did feel heavy after I used it like their was some still left in my hair. I think due to me having thick hair already it just made it seem even thicker. Just like my lip balm I always carry a hand cream with me, my hands do super dry all year round so I like to have one with me at all times. I have been carrying a huge cream in my bag so I was happy to swap this with my current one and save handbag space. 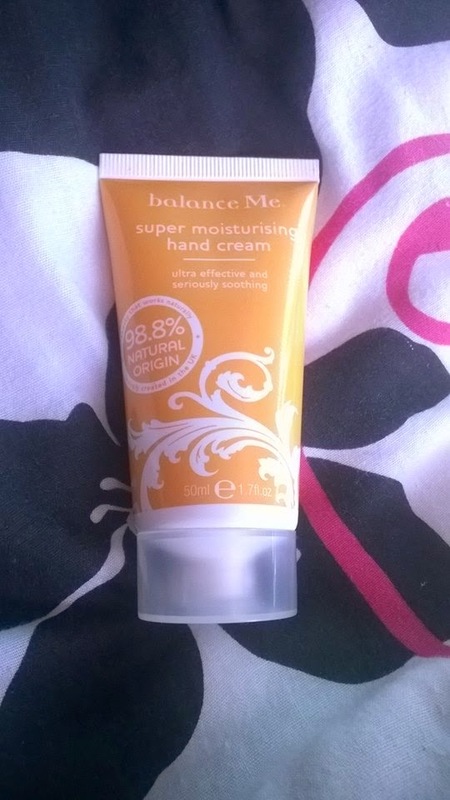 The cream is quite thick and it does leave a slight greasy feel on your hands after putting it on. I tend to find that with Shea butter products they seem to take a bit longer to absorb in to the skin but it did leave my hands feeling super soft. Along with fatty-acid, vitamin-packed shea butter and sweet almond oil, this moisturiser also contains two ancient therapeutic skin conditioners the Egyptians’ embalming agent benzoin and yarrow, which legend says Achilles used on his wounded soldiers in the Trojan war. 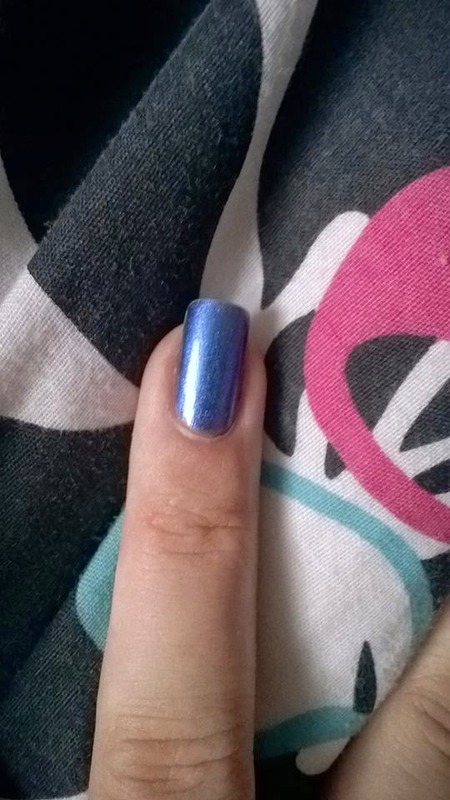 I have never used a Deborah Lippmann polish before so I was very excited to test this out. I love the shape of the bottle, its a very classy shape. I have used this effect before in another brand and I love the sandpaper matte effect it leaves. Its so usual and different. I love the summer yellow, its very bright and cheery.